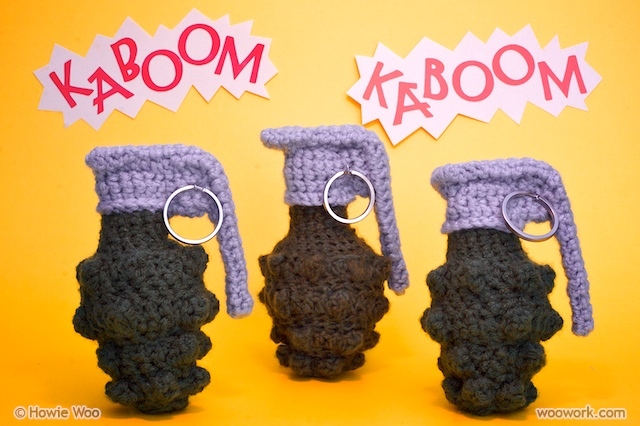 Crochet Grenades The Solution To War? 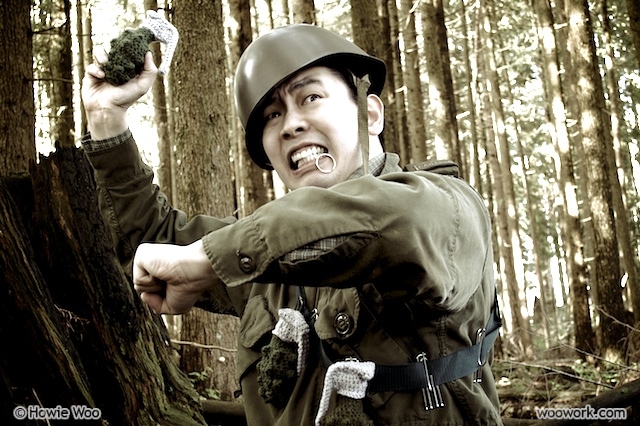 Howie Woo loves to crochet life’s little oddities and these crochet grenades are hilariously quirky as his is video and “In the field” photo shots. Oh Grandma! 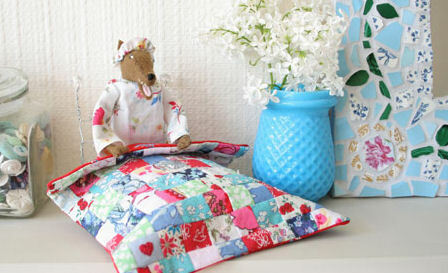 What a gorgeous quilt you have! 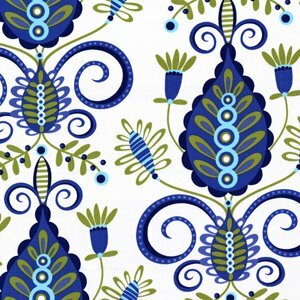 Wish Upon A Quilt online store is having an inventory sale. 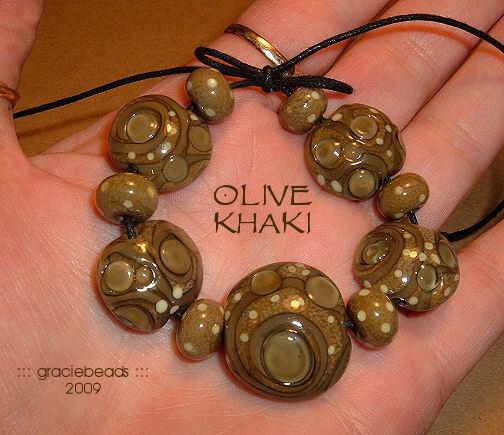 You’ll get 10% off sale and regular priced items through May 22, 2009. 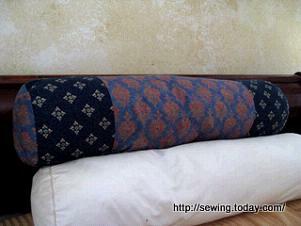 Christine from Christine Sews shares a tutorial that explains how to make a bolster pillow. Get the how-to. 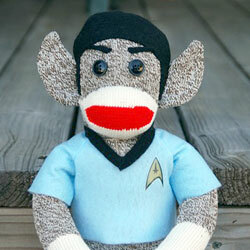 Lookie what she made: A Spock Monkey! 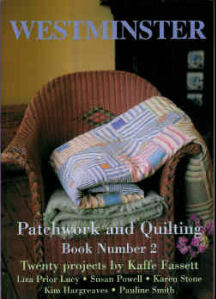 YouTube has a video on any craft that is of interest to you. 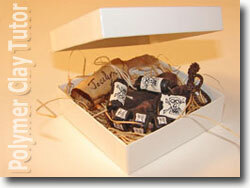 Type in what you are looking for at YouTube and I am sure you will locate more than you can watch. 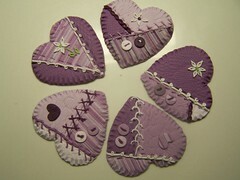 Here are a few on felting. 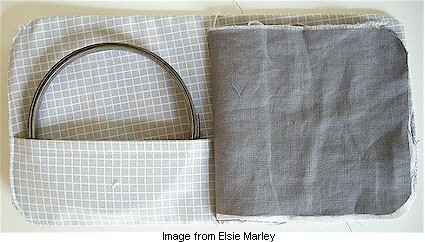 Elsie Marley had this great idea: Make up embroidery “sketchbooks” for needle-doodling on the go. Quick, easy, and handy. 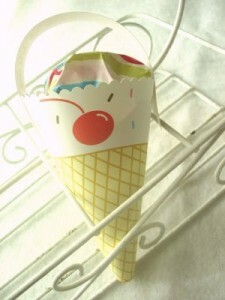 Find out how on Elsie’s blog. 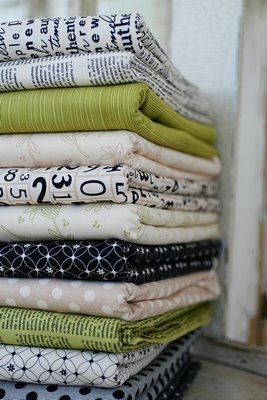 And many thanks to floresita of feeling stitchy for calling Elsie out! WoooHOOO! 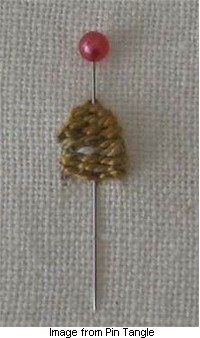 SharonB of Pin Tangle blog is giving us the lowdown on how to create a needlewoven picot. So that’s how she gets those wonderful leaf shapes! See the tute. 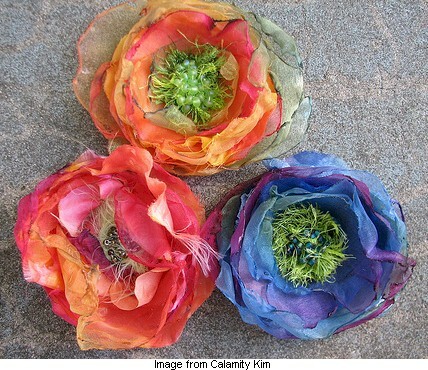 Calamity Kim is sharing her secrets for making scrumptious chiffon flowers. Yea!!! See the instructions. This little bikini is guaranteed to fit…your needlework project. 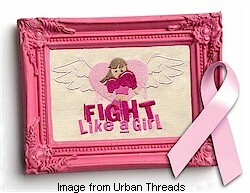 Maria Diaz’s design is free from The Chart Shop at Cross-stitching.com. Get the chart. 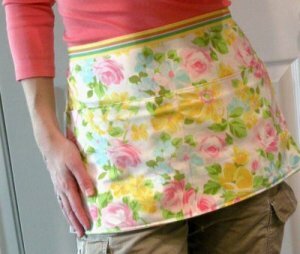 Betz White shows how to make this apron from a pillowcase. It takes only 10 minutes! Get the tutorial.